There are basically two types of automotive enthusiasts. Those who have done route 66, and those who would like to. Well and maybe a third group who have done in the past and would like to do it again. 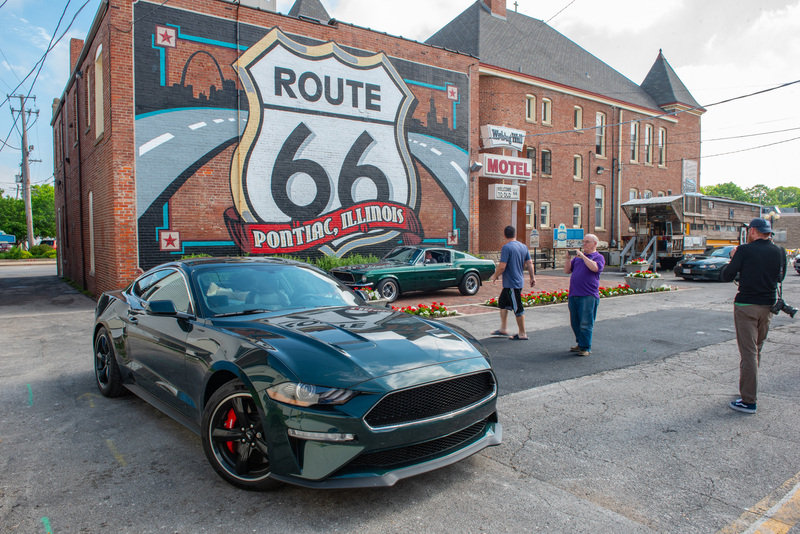 We were recently able to join a group of Mustang owners on a trip along Route 66. HoonDog Performance Group organizes a road trip every year for Mustang enthusiasts. For 2018, the group planned and organized a 2,200-plus-mile journey along Route 66, called the Legend Lives II Tour, to celebrate the 50th anniversary of the movie “BULLITT.” The drive ended in Chino Hills, California, where the group participated in the Steve McQueen Car Show at the Boys Republic school for trouble youngsters which McQueen attended. Many of the participants in this year’s drive were Mustang BULLITT owners. 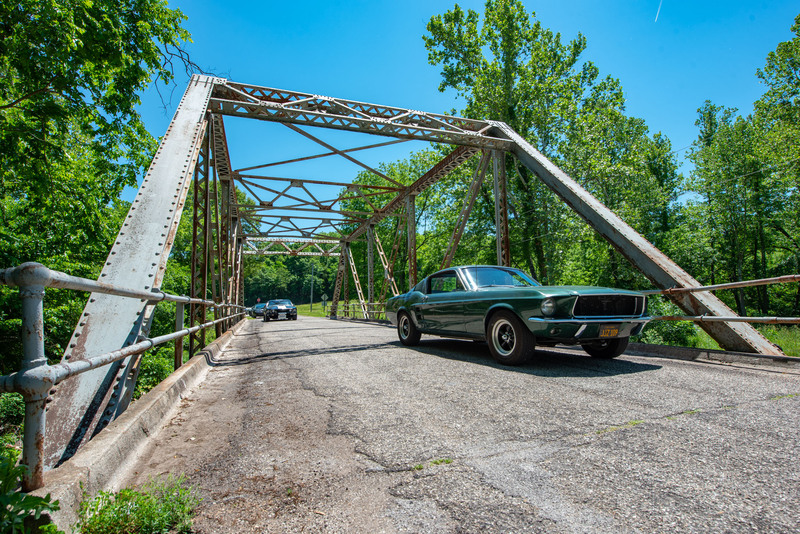 In fact, more than half of the Mustangs that drove the entire tour were 2001 or 2005 Mustang BULLITT editions, or early cars built as tribute cars. Ford Motor Company even brought two pre-production 2019 Mustang BULLITTs along on the drive! These cars received a ton of attention at every stop, as people eagerly looked at the newest special-edition. Route 66 was officially named in 1926, and for decades was the main roadway from Chicago to Los Angeles. It was unique that it ran a somewhat diagonal course. It was also a gateway for people to explore the country. Plane travel was expensive while cars were affordable, thus beginning the American road trip which continues through today. The Federal-Aid Highway Act of 1956 commissioned the creation of the modern U.S. Interstate System. Over the next 20-years, the Interstates became the primary mode of automobile transportation. Much like the movie, “CARS,” depicts. Route 66 was mostly abandoned, and in some cases, completely paved over. During the same era, suburbs grew and old downtowns were vacated. Route 66 – both in rural areas and in small downtowns – eroded and nearly disappeared. There has always been a fascination among hot rodders and muscle car enthusiasts with Route 66. And with the movie, “CARS,” the interest in the Mother Road grew to a broader population. Businesses that persevered were rewarded with new visitors, some boarded up establishments were brought back to life, and Route 66 carries on today as the world’s longest tourist attraction. Traveling with the HoonDog group made our Route 66 trip easy and enjoyable. We didn’t have to do any planning! Just follow the Mustang in front of you. They had mapped out each day’s drive in amazing detail. In order to cover so much ground in just seven days, we drove in Interstates quite a bit, exiting at specific spots to visit a noteworthy gas state, hotel or other landmark on Route 66. Each stop provided plenty of time for us to take pictures, talk with the other participants and enjoy the moment in whatever moment of Americana we were in. We met countless business owners and leaders of organizes dedicated to preserving and restoring the history along this unique roadway. The landscape and culture changes dramatically along Route 66 today. You can divide the route into four sections, each having its own unique flavor. From Chicago through St. Louis, what’s left of Route 66 either runs parallel to I-55, or is under the interstate. Most of what you’ll see through this section are the areas were Route 66 becomes Main Street in idyllic Midwestern small towns. There are several great stops along this stretch. The first is the Amble Becker Texaco in Dwight, Illinois. This restored gas station shows what one of the three primary needs on an early American road trip looked like. They have also collected and filled the garage bays with typical examples of early gas station and road trip history. Pontiac, Illinois, is another must stop. Route 66 forms the loop around this historic downtown area. There is a Route 66 Museum and a giant Route 66 shield painted on the back of a building that is one of the most photographed murals along the Mother Road. There are other murals painted on buildings around downtown Pontiac; some modern and some historic. The next section of Route 66 includes Missouri, Oklahoma and Texas. 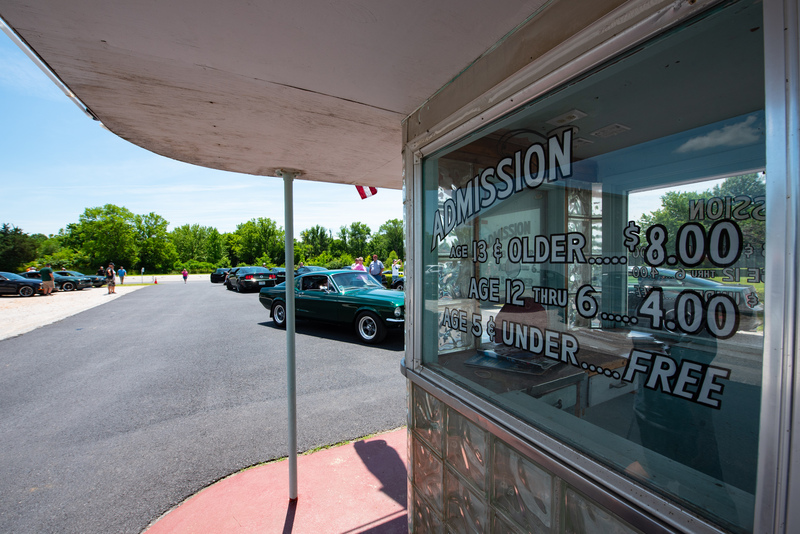 Once you get an hour or two west of St. Louis, Route 66 still exists and can be driven. As you move into Texas, it comes alongside I-40 as a frontage road, but in Oklahoma, the path varies from the Interstate and you can feel like you’re back in time traveling the countryside without the distraction of a nearby Interstate. One of our favorite areas in this section includes Pay Garita Sinclair gas station in Ash Gove, Missouri, nearby Devil’s Elbow Bridge and Spencer’s Gas Station in Miller, Missouri. This stretch of Route 66 is pretty much only traveled by tourists – the only people you’ll find out here are enjoying the trip just like you. Another great stop in this area is the Route 66 Drive-In in Carthage, Missouri. This restored drive-in movie theater plays modern movies after nightfall. Once you move into Texas, two must-stop areas are the Conoco Tower Station in Shamrock, and Cadillac Ranch near Armarillo. The Conoco station is the largest and most restored service station and café along Route 66. Walking through its various rooms gives a great impression of what traveling this route in the 1950s would have been like. Cadillac Ranch was crated in 1974 as a bizarre art display. The cars show the evolution of Cadillac fins from 1949 through 1963. Over the decades, parts from the cars disappeared and people began to graffiti what was left of the cars. Today, adding your personal touch with spray cans is actually encouraged. What we are calling the third stretch of Route 66 runs through New Mexico, Arizona and into California. This is the desert section, most of which is pretty deserted. This includes the town of Tucumcari, New Mexico, which has more neon lights today than any other city along Route 66. There are a couple of restored classic motels, including the Blue Swallow, immersing you fully in the experience. The next stop along Route 66 is Santa Rosa, New Mexico, which has a variety of unique buildings and a Route 66 Museum. The area west of Albuquerque and through the Continental Divide provide picturesque scenery of rock formations and lava flows. Downtown Winslow, Arizona, feels like civilization again. And yes, if you visit the Standing on the Corner park in the historic downtown, there is a flatbed Ford. There are quite a few more great stops completing this section: Two Guns Ghost Town, Cool Springs Gas Station, the ghost town of Oatman and Roy’s Motel and Café, to name a few. Traffic builds as you enter the final stretch, descending the high desert of California into the crowed Los Angele basin. Instead of relics of Route 66 being the only thing around for miles, remaining outposts of the Mother Road are found between industrial buildings, strip malls and fast-food joints. Even so, your Route 66 trip wouldn’t be complete with stopping at the Wigwam Motel in San Bernardino or the Rancho Cucamonga Service Station. And even though it was not an official part of the HoonDog Legend Lives II Tour, many people continued to the Santa Monica pier, which is the official end of historic Route 66.
Who you travel with makes a huge difference. Traveling with like-minded auto enthusiasts like the HoonDog group made our trip enjoyable. And the fact that someone else did the countless hours of planning made it much less stressful.